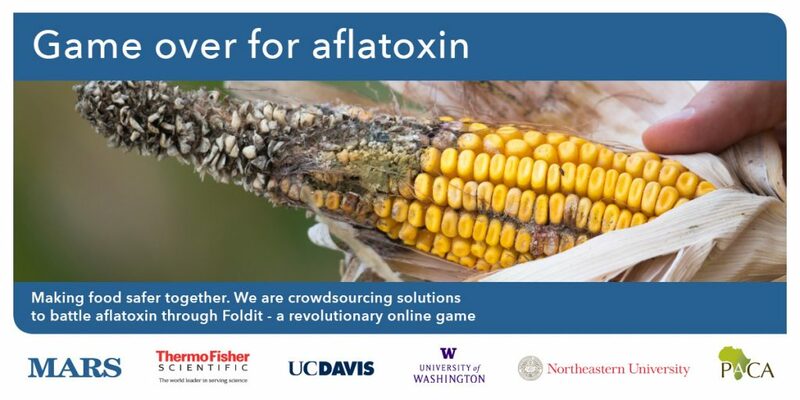 Today, scientists from of the Institute for Protein Design will join Foldit gamers from around the world to help design an enzyme that can neutralize aflatoxin — a cancer-causing toxin produced by certain fungi that are found on agricultural crops such as corn, peanuts, cottonseed, and tree nuts. Foldit is a citizen science game version of Rosetta@home, that allows gamers to create new proteins. 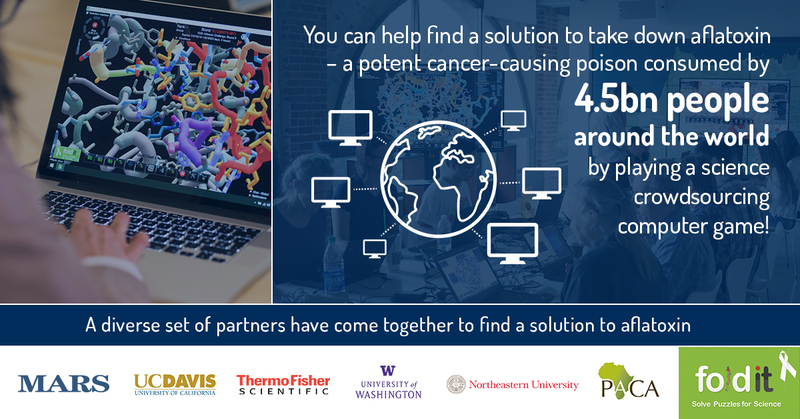 Aflatoxin puzzles provide a starting enzyme which has the potential to disarm the toxin, and Gamers from around the world will compete to redesign the enzyme so it can neutralize aflatoxin. Food safety is a long-standing interest at the Institute for Protein Design. Our scientists have designed a potent KumaMax enzyme for breaking down gluten, and have launched PvP Biologics to develop it as a therapeutic for treating celiac disease. Read more here about World Food Day, Foldit, Podcast of Scientific American, Aflatoxin. Foldit is a competitive online puzzle game about protein folding. It is a crowd-sourcing computer game that allows anyone in the world with a computer and imagination – but not necessarily any scientific training – to determine how amino acids are folded together to create proteins, the workhorses of our bodies. 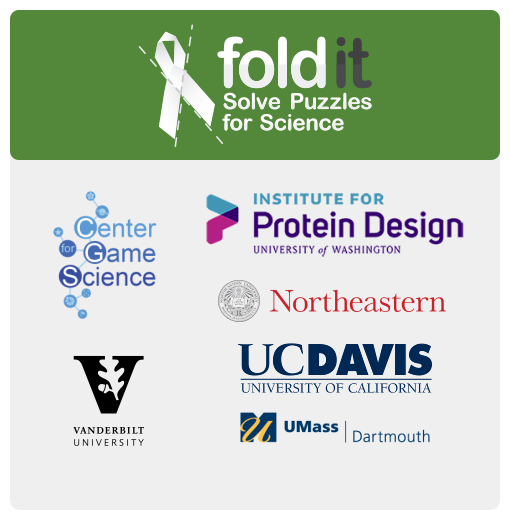 Inspired by citizen scientists who had a desire to fold proteins on their own, the Foldit game was first released in May 2008, the result of a UW collaboration between David Baker (Director of the Institute for Protein Design), Zoran Popović (Professor of Computer Science), and Seth Cooper (now at Northeastern University). The first Foldit players had previously volunteered their home computers for the Rosetta@home project to support large scale protein folding calculations for the Baker lab, but these first players wished to do with their minds what their Rosetta@home computer was attempting as viewed through a screen saver. Since the launch of the Foldit game, players have had a number of notable successes.